Watershed. 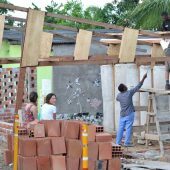 Health and Wellbeing Project 1, São Tomé de Paripe, Salvador, Bahia (Brazil) 2016. Local health workers have been visiting the São Tomé de Paripe community in the northeast portion of All Saints Bay in Salvador, Bahia over many years. 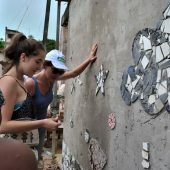 They have witnessed the health concerns in the community of 270 inhabitants as well as the formation of a community hub around a child-care centre created and run by the local community. A collaborative project was developed with Peter Stutchbury Architecture Foundation bringing students from the University of Newcastle and Australian architects to create additions and alterations to the child- care centre to improve health and wellbeing. A need for clean, free water was identified as the major focus for the first project. 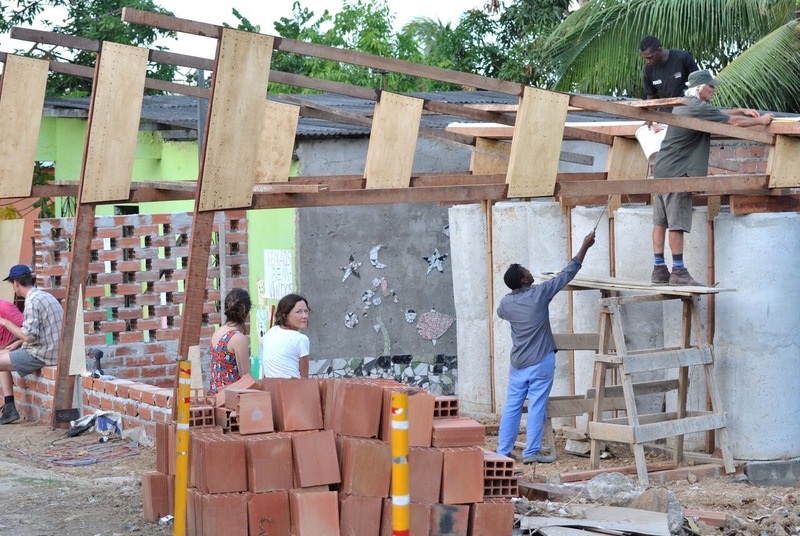 The outcome of the 6 day visit was an outdoor classroom with a roof collection system. The 25m2 of additional space provided by the classroom will legitimise the centre allowing the children to progress into further education systems. 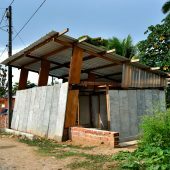 The large fly roof captures clean water which is stored in concrete drainage pipes turned upright and sealed, acting as water tanks. 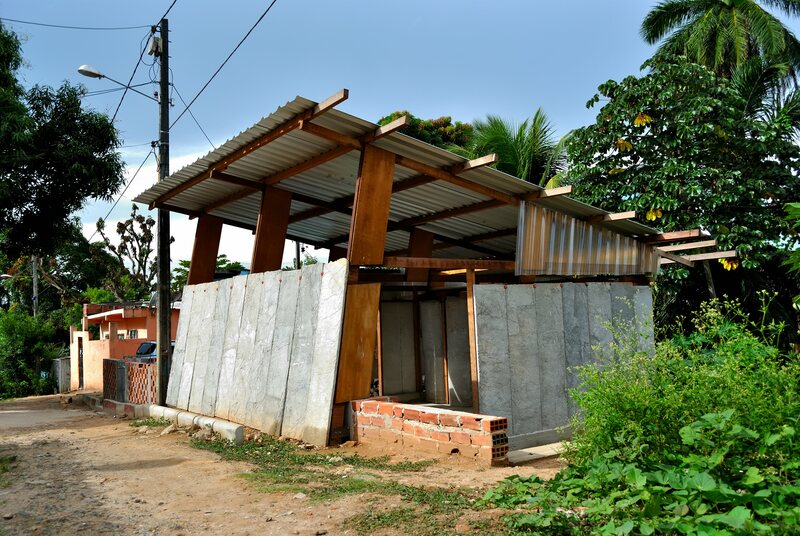 The system also serves as a prototype for other communities in the area. 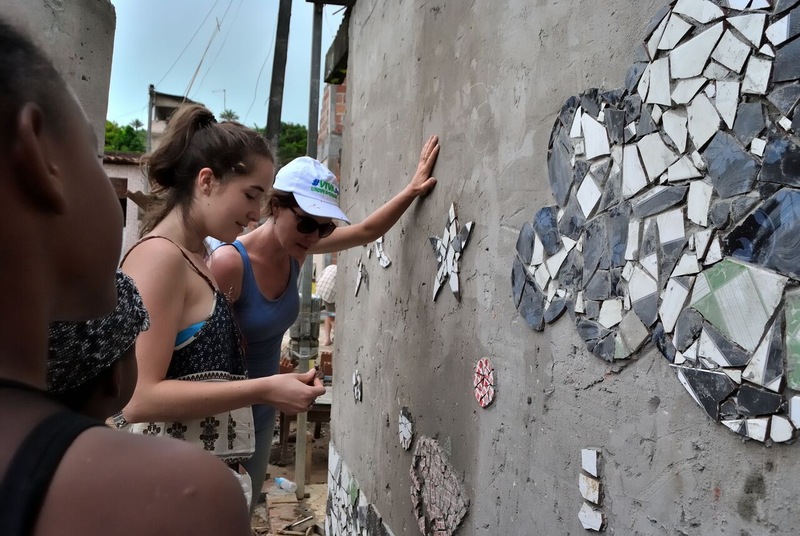 To promote a sense of ownership local children were involved in the creation of a mural using broken tiles. After the departure of the Australian team the ‘Watershed’ was painted and tiled by the community. Local Community Health Liaison : Flávia Cabral. Local Community: Dona Meire; Carlos; Marquinhos; Leticia; Fabiana. Students: Rebecca Whan; William Linehan; Joseph Belford.